In the backdrop of the sugarcane arrears in Uttar Pradesh (UP) topping Rs 12,000 crore, the cane belt of western UP, scheduled to witness polling in the initial phases beginning April 11, is likely to set the tone for elections in the country’s top sugar-producing state. UP’s sugarcane economy, estimated at Rs 40,000 crore, directly impacts nearly 4 million farmers’ households and has an intrinsic downstream integration with the industry, especially sugar mills. The issue of sugarcane payments has always acquired political connotations, especially during elections. Even the ruling Bharatiya Janata Party (BJP) promised prompt cane payments in its election manifesto before the UP polls two years ago. The politics of the Ajit Singh-led Rashtriya Lok Dal (RLD) and Bharatiya Kisan Union (BKU) is largely centred around sugarcane and Jat issues. The RLD has aligned with the Samajwadi Party (SP) and Bahujan Samaj Party (BSP) in UP and is attacking the state government on farm distress and the outstanding sugarcane dues. 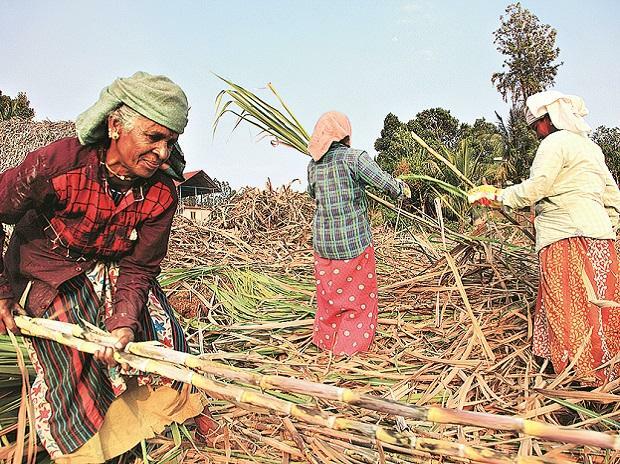 In the ongoing crushing season of 2018-19, the 119 operational UP sugar mills — 94 private, 24 co-operative, and one state — had procured cane worth Rs 23,200 crore from farmers and paid Rs 11,350 crore, thus leaving an unpaid portion of Rs 11,850 crore. Besides, mills have to make a payment of Rs 290 crore for the 2017-18 season. Earlier this week, UP Chief Secretary Anup Chandra Pandey summoned representatives of private mills and asked them to ensure full cane payments. A leading sugar mill official told Business Standard western UP mills had been directed to settle dues by the end of March, while central and eastern UP units had been asked to pay by the middle and end of April, respectively. Since polling in UP will start in the western pockets and progress towards the east in successive phases on April 11, 18, 23, 29, May 6, 12 and 19, the ruling BJP wants to ensure sugarcane payments are made as much as possible.